Making, sharing, and consuming music is one of the oldest aspects of human culture and tradition. As tastes and technologies evolve, so too must the venues that feature them. From brand-new facilities to expertly restored historical buildings, the concert venues of Pennsylvania are just about unbeatable and stand up to finest halls around the world. Inject a little music into your life, and catch an old favorite or new find at one of our favorite music venues in Pennsylvania. Once a movie house, the Theater of Living Arts in Philadelphia is a mid-sized venue with exciting acts. With seats for 1,000, the near perfect acoustics of the hall provide a perfect musical experience no matter where you snag a spot. See top groups perform in an intimate, convenient setting for a concert experience you won’t soon forget. Opened in 1905 as a vaudevillian theater, the Rex has become a staple on Pittsburgh’s vibrant music scene. Hosting diverse shows, and offering a full bar, both music fanatics and casual fans can experience music the way it was intended: Live and loud. 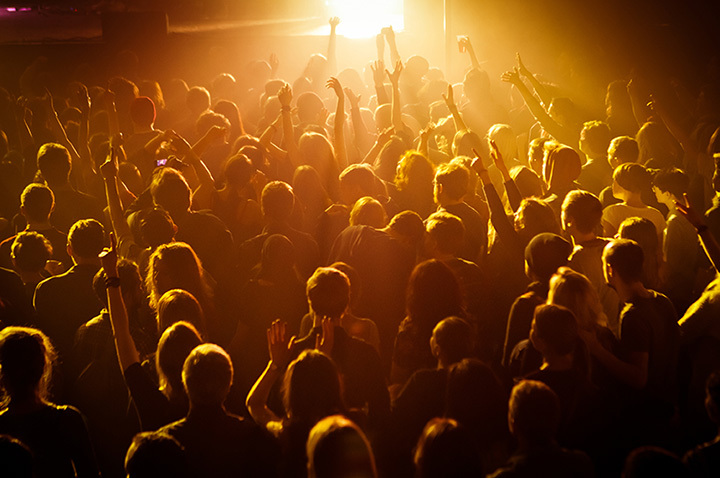 Whether you trend more towards funk or folk, rap or rock, a night at the Rex is a must for locals and visitors alike. Easily accessible from downtown Pittsburgh, Mr. Small’s is a space like no other. Featuring art galleries, a recording studio, multiple bars, a restaurant, and two separate performance spaces, Mr. Small’s easily stands up as one of the best concert halls in the Keystone State. Housed in a lovingly converted Catholic Church, the venue offers a main theater for headliners, and a smaller, more intimate space for hot new artists. Catch a show, then join the after-party in the War Room, a “draft beer bunker” with live music and full blown celebratory vibe. As an alcohol-free venue, Basement Transmissions offers incredible shows to music lovers of all ages. Stop by and see some of the hottest rising stars in music in a lovely, clean venue with great acoustics. World Cafe Live hosts an average of 550 ticketed shows, 200 free shows, and 250 special events every year, an astounding level of production. With two stages on site, they have also been known to introduce some of the hottest artists to the music scene, including hosting Adele’s first ever U.S. concert. World Café Live is worth a trip for their carefully selected artists, unique vibe, and a chance to see the next superstar before they become a household name. The Scranton Cultural Center is a top-notch music venue, leaning more Broadway than R&B. See a musical, live performance, or even a movie in this gorgeously maintained Masonic Temple. Union Transfer in Philadelphia is the perfect blend of all things music. Large enough to create a feeling of excitement, intimate enough to provide great sound, and a mix of well-known and emerging artists from all genres to satisfy even the most jaded concertgoer. With ample parking, friendly staff, and an on-site bar, you would be hard pressed to find a more perfect place for live music. Since 1936, Hersheypark Stadium has been providing quality entertainment and lasting memories for Steelmen of all ages and proclivities. Today, the venue hosts world class entertainers in a festive, open air atmosphere. Whether you prefer country, rock, or pop, seeing a show in Hersheypark Stadium is an unrivaled experience. Be sure to hang onto your ticket stub for discounted admission to Hersheypark! The Abbey Bar is a 21 plus musical wonderland, and provides one of the best live music experiences in the state. Located upstairs from the Brew House, the space features not only up-and-coming artists, but boasts a billiards hall and stunning rooftop deck. While the artists may not be household names quite yet, the Abbey Bar curates some of the finest young talent around and serves them up in a festive, fun atmosphere. The event center at the Sands Bethlehem Casino Resort offers a stunning array of quality live entertainment, with something to satisfy even the pickiest fans. Artists from the Dropkick Murphys to Frankie Valli to Idina Menzel light up the stage, and an extensive array of seating options offers something for every price range. Whether you pop in for a concert or make a weekend of it, the musical experience of the Sands Bethlehem is one you won’t soon forget. View more Pennsylvania Live Music Venues.